Art in Manchester has lots of new exhibitions to enjoy this week including the new Peterloo Exhibition Disrupt? 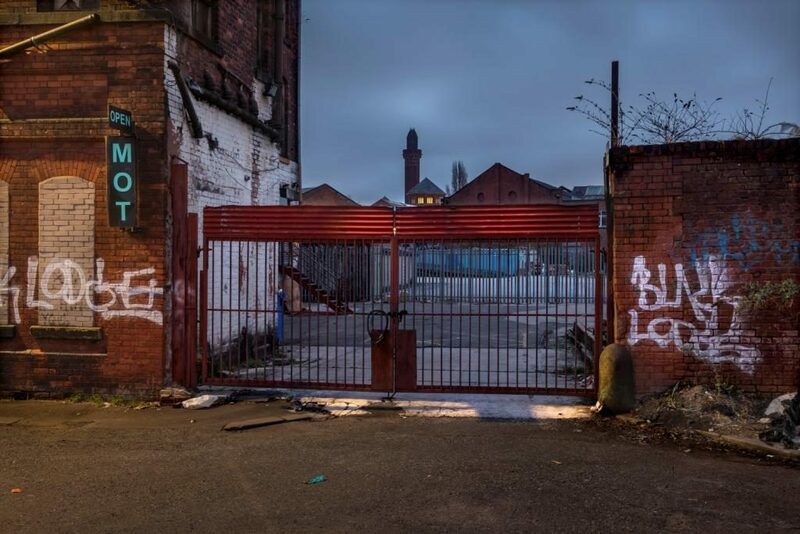 at Peoples History Museum, Castlefield Gallery have what promises to be a fascinating exhibition – Undoing, Cherry Tenneson has a solo exhibition at Paradise Works and a series of events in Salford from Not Quite Light. Feedback: The Live Auction held at Saul Hay Gallery last week raised an amazing £6500 for the charities Together Now and Survivors of Torture Trust. Fantastic result for everyone involved. 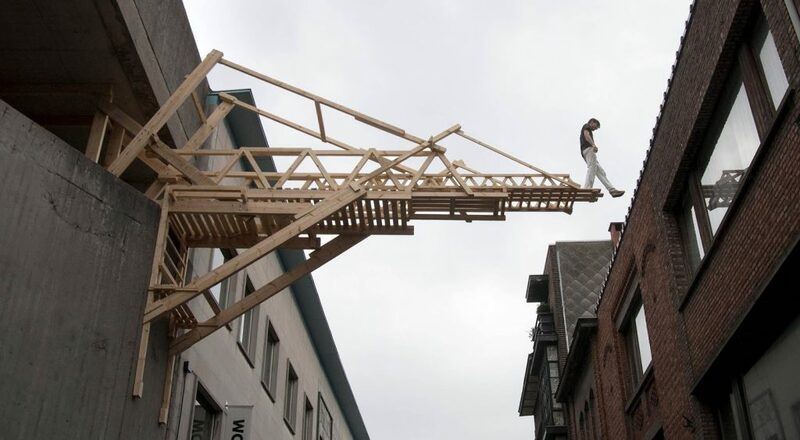 Castlefield Gallery has announced its spring exhibition ‘UnDoing’. The exhibition is a collaboration between Manchester School of Architecture (MSA), independent curator Tom Emery, and Castlefield Gallery. Co-curated with Sally Stone, Reader in Architecture (MSA) and Laura Sanderson, Senior Lecturer (MSA) the exhibition builds on their research into the often conflicted relationship between past and present in architecture. The exhibition will include photography, models, sculpture and film by artists and architects that explore how buildings, places and artefacts are re-used, reinterpreted and remembered. MSA Lost Spaces was a project by MSA students and staff that explored what remains of important lost buildings through model making. UnDoing will feature a number of these models, including a sliding model of Manchester’s legendary nightclub The Hacienda, a model of a hut built by Austrian philosopher Ludwig Wittgenstein in which he wrote his most celebrated work Philosophical Investigations (1953) while living as a hermit in the remote village of Skjolden, Norway (1936-1937), and a cast-metal model of the Caffè degli Inglesi, Rome by Giovanni Battista Piranesi (1720-1778) which was destroyed during the Napoleonic wars. Nazgol Ansarinia’s video Living Room (2005) shows an emptied room with faint marks on the walls left by the passage of time. They are traces of her family’s private history, but also the impact of pollution on the city and population of Tehran. Sarah Westphal’s installations and photographs also find meaning in the overlooked, commonplace and forgotten. Zwischendenräumen – Tussenderuimtes – Inbetweenspaces (2007–9) is a book of images that unfolds a journey through a house as readers browse from room to room, finding narratives in the architecture of the everyday. Abigail Reynolds is interested in how we engage with the vast multitude of knowledge held in spaces such as libraries, and what it means when this knowledge is lost. This long-running fascination informs her use of found books, photographs and printed pages to construct her pieces. Connor + Darby are David Connor – who created iconic pieces of interior design for the likes of Vivienne Westwood and Malcolm McLaren, including an apartment for the pop punk, Adam Ant – and Kate Darby, an architect known for making place-specific architecture through careful analysis or site and context. MAP Studio is a Venice-based architectural practice who were awarded the 2011 Pietro Torta Award and Piranesi Honorable Mention 2011 at Piran Days of Architecture, Slovenia for their restoration of Porta Nuova Tower at Venice Arsenale. Using leftover and recycled materials, James Ackerley follows self-imposed rules and parameters to incrementally expand and rearrange his Studio Objects. 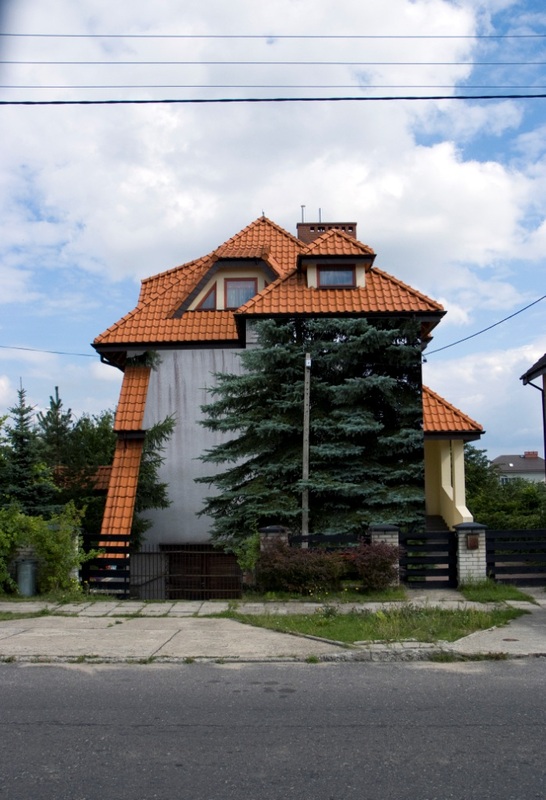 Tom Dale’s Vision Machines (2012) is a series of photographs of houses in Poland, constructed according to strict communist building regulations. After studying both art and architecture, Adrien Tirtiaux has developed a dynamic practice instigating his own projects as well as responding to commissions from international institutions and festivals. Malcolm Fraser has created a series of beautifully complex dance studios within existing spaces including the Dance City in Newcastle, Dance Base in Edinburgh, and the headquarters for the Scottish Ballet in Glasgow. Constructed using local materials, they are works of modern architecture instilled with a sense of Scottish identity. 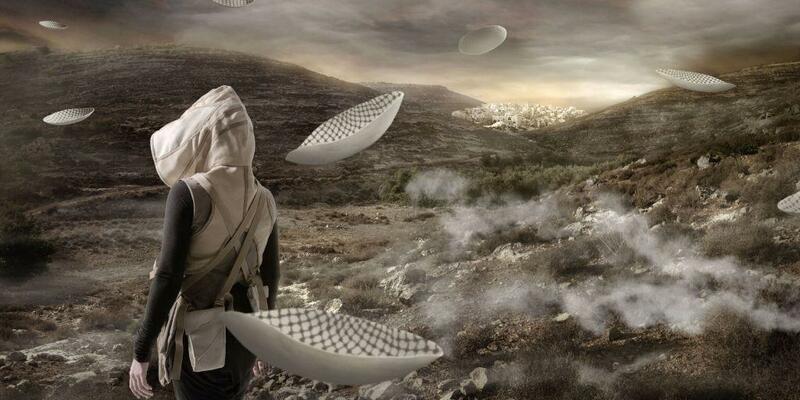 Larissa Sansour’s film In the Future, They Ate From the Finest Porcelain (2016) creates a sci-fi narrative with live action and CGI. The film features a resistance group making underground deposits of elaborate fake porcelain artefacts, aiming to create proof of a fictitious people to support future claims on the land. Join independent Curator Tom Emery, and Castlefield Gallery Curator Matthew Pendergast for a walking tour around Manchester city centre looking at public sculpture and art in the public realm. Sally Stone, Reader in Architecture, Manchester School of Architecture will lead a walking tour with architect and conservationist Jonathan Djabarouti looking at building reuse in Manchester city centre. Cherry’s practice often involves accumulating and transforming everyday signs and objects, and through this examination of seemingly disparate and commonplace elements, the absurdity of the everyday is exposed. Cherry’s work reveals the inherent flaws and banality in the language of advertising, commodification, and instructional procedures. 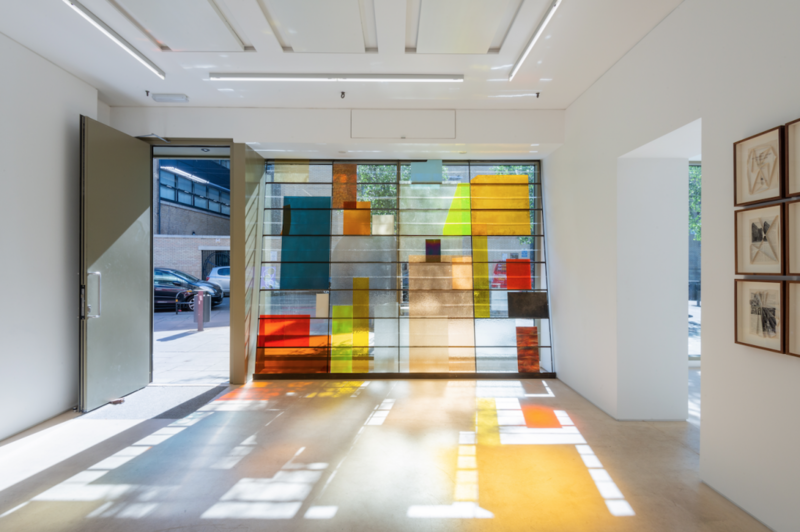 Cherry works across different media, including sculpture, painting, drawing and interventional site-specific projects. 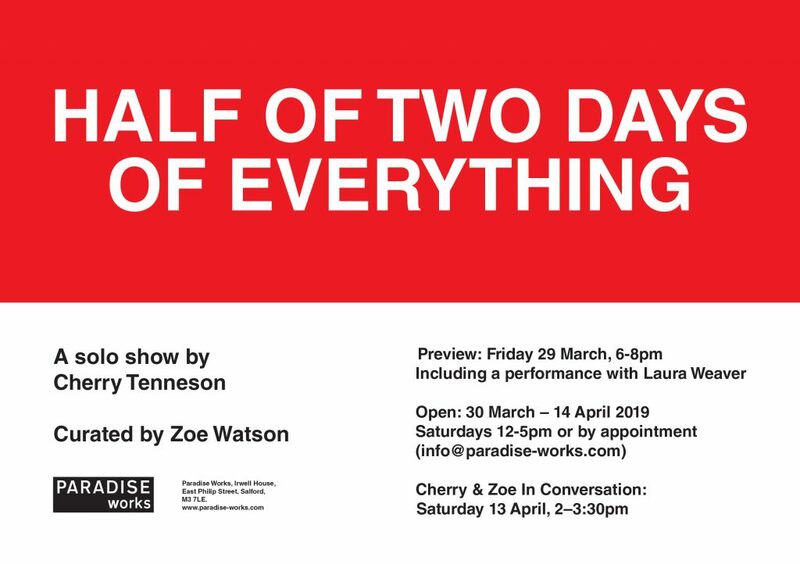 HALF OF TWO DAYS OF EVERYTHING presents a body of sculptural works made up of disparate everyday objects, unconventionally paired together and re-examined in a new context. Cherry will also present selected works from a series of paintings that responds to social media platforms and advertising. Each painting has a visual narrative that nods to the Instagram square, and features anonymous slogans posted on social media platforms. During the preview event there will be a new performance devised by Cherry Tenneson and Laura Weaver which takes an absurdist look at the impact of technology on society. The exhibition is curated by Zoe Watson. 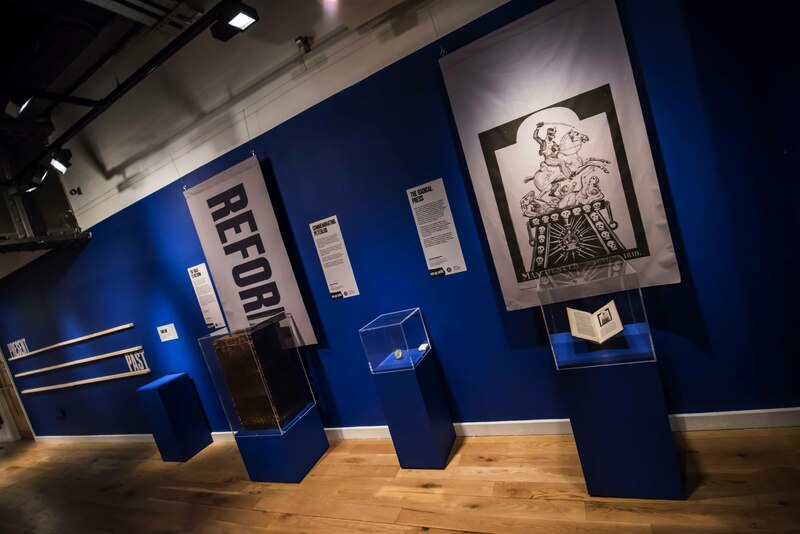 On Saturday 23 March 2019 People’s History Museum in Manchester will open an exhibition that tells the story that is at the very core of its being, and which represents a watershed moment in the history of our nation’s democracy. Disrupt? 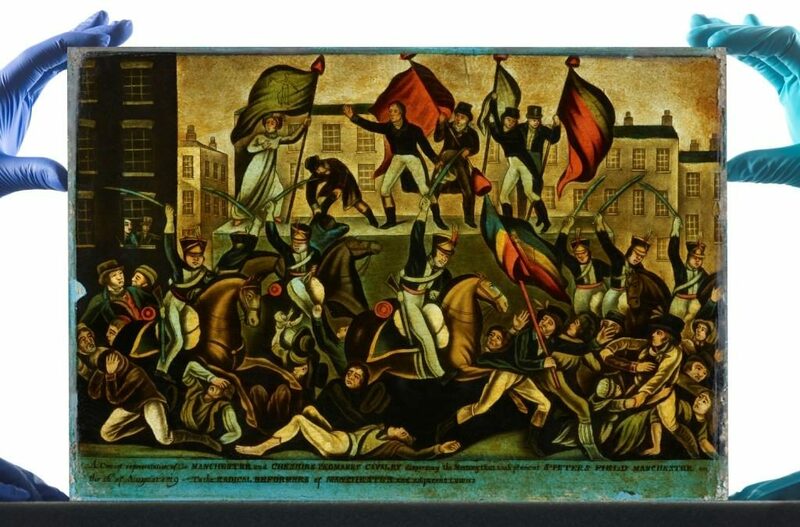 Peterloo and Protest begins with the telling of what happened on 16 August 1819, when 60,000 people gathered in the centre of Manchester in peaceful protest to seek rights and representation. Why representation meant so much, how this day would end in bloody violence, the actions carried out in the aftermath and the legacy 200 years later are all themes explored in the national museum of democracy’s exhibition. Curated by artist Simon Buckley, NQL returns for its third year, with 30 events at 12 venues and locations across Salford. The weekend the clocks go forward, the festival uses the time of dawn and dusk as a moment of inspiration for reflection and ideas. 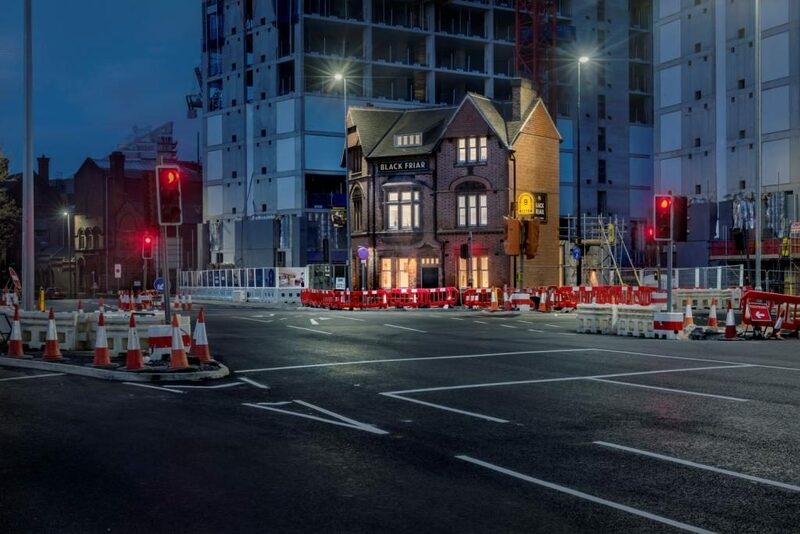 With newly commissioned work by artists, musicians, historians and filmmakers alongside walks, tours, talks and workshops, the festival focuses on Salford as a place of change and regeneration, and uses this to ask how our cities are changing, from a range of perspectives. A play specially commissioned for NQL 2019 with music written by Bruntwood Prize finalist, Joshua Val Martin and sound artist, Daniel Mawson, Beneath These Tarmac Cracks tells the story of a Salfordian woman, born in 1913, who has developed a regenerative neurological disease that makes her vividly remember every second of her life. Are there some things better left forgotten? Led by author and academic Nick Dunn, this Night Walk will ask “What is a border?”. What happens when the identity of places become smudged? By exploring the two cities of Salford and Manchester at night we can experience how time becomes elastic and the nature of space changes. Dave Haslam and The Option (Paris) perform their ambient soundscape ‘Breathless’ live for the first time in the UK – with an accompanying live video created by Donna Jevens – alongside sets by spoken word performers Eve Piper, Karl Hildebrandt, and Kieren King, and acoustic singer/songwriter Evie Russell. Utilising Dave Haslam’s heartbeat, together with found sounds, disembodied voices, and effects and weirdness galore, it’s an intense and overwhelming experience.The night concludes with ‘Salfrica’, a one-off club night of Afro-flavoured house and disco with DJs Levi Love and Selina Nongaliphe Oliphant (aka SNO). “THE DARK CITY” will see a panel discussion and performances from poets and authors Kate Feld, Emily Oldfield, Nick Royle, Rosie Garland, Steve Marland and Anne Beswick. They will explore the darker side of the city as an inspiration for crime novels, the gothic and film noir. 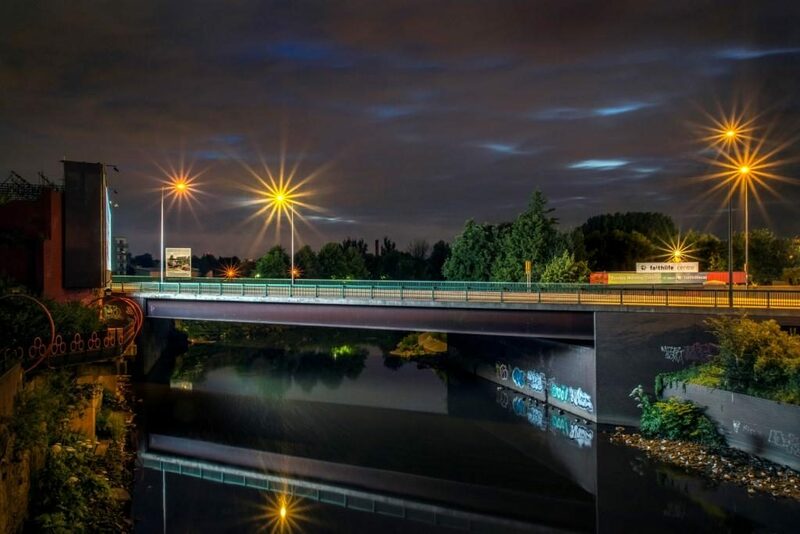 This will be a fascinating talk by experts from Arup and a leading Manchester architecture practice on how we use artificial light – Light plays a vital role in our lives, affecting how behave and feel. They’ll be discussing how a human centered approach to urban lighting can create a truly 24hr city. An afternoon exploring the Salford’s Victorian architecture from two different points of view. Salford underwent extraordinary change during the Industrial Revolution, and the Victorians built a new city. Historian John Garrard will discuss the social and economic factors that inspired the architecture of the Victorian era, and that ultimately has led to its demise as a fresh city is built in the 21st Century. Urban explorer Matt Holmes enters abandoned buildings and records the decay of these once grand structures, often at great risk. 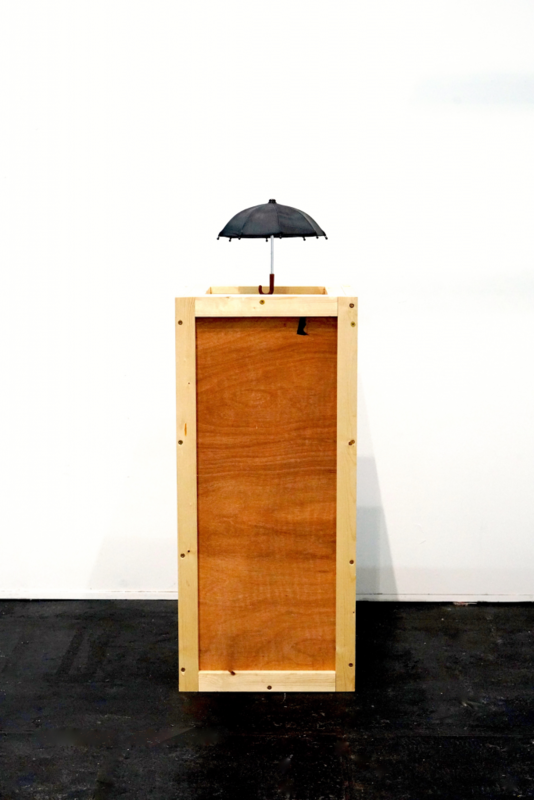 PROFORMA Pavilion is an ever-changing exhibition presenting the work of six leading emerging artists whose work explores increasingly shifting notions of identity in the UK. The exhibition is part of a programme to develop the profile of UK Greater Manchester based artists nationally and internationally by commissioning new work, brokering new partnerships, international exchanges and exhibition opportunities. 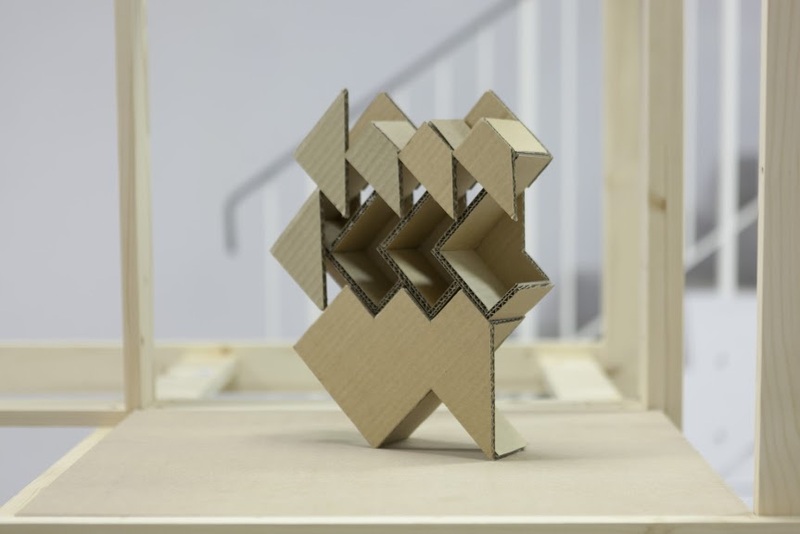 The selected Greater Manchester artists are Omid Asadi, Lizz Brady, Nicola Dale, Nightshift International (Sarah Boulter & Elliott Flanagan) and John Powell-Jones who will create new work in response to weeklong residencies in Venice and the exhibition venue, Corte Supernova. Through a dynamic blend of performance, intervention, film, sound and live art, these new works will explore topics from psychological isolation & personal reality; power structures, immigration and conflict; superficial boundaries, mental health and social engagement; to relationships, intimacy, and aspiration.